First off, I would like to apoligse to all my readers and other bloggers out there. I know I have been MIA for the last month. I am not sure exactly how to begin, but I experienced the loss of a very near and dear family member. Initially we thought we only had hours, but thankfully, we were given weeks. 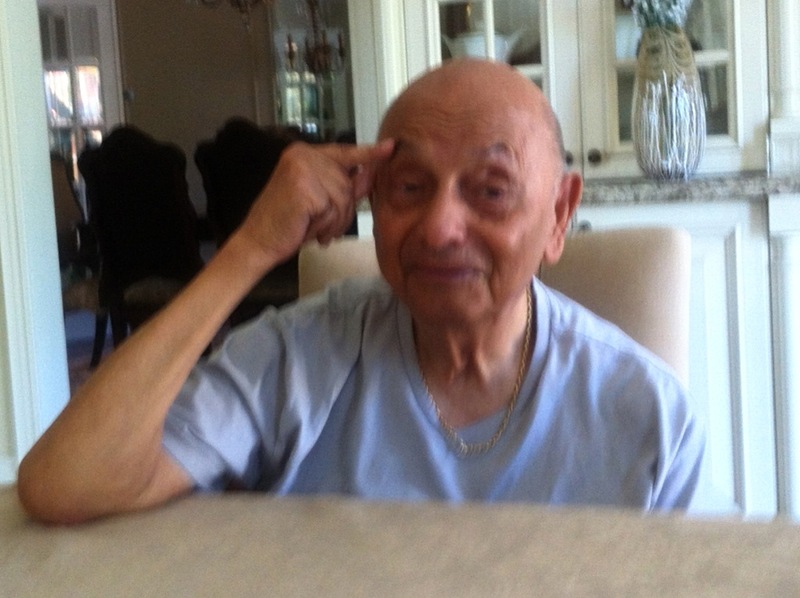 Every spare moment I had, I was at the hospital by the best person I have ever known – my grandfather. 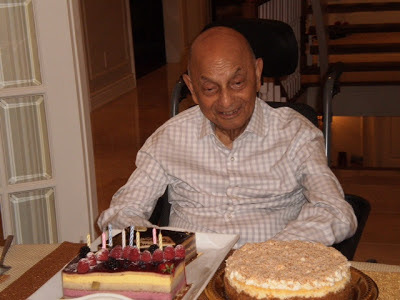 I was able to spend a lot of time sitting with him, telling him I loved him, and I was able to share in the process of the “end of life” with other family members. My Grandfather passed away of February 2nd, 2013, surrounded by his family. As you all know I am taking part in a personal challenge. In January, I strived to reduce my belongings by 25% which I would say; I have been successfully able to do. But the month of February is an even more difficult challenge; learning to cope with the loss of a loved one. Though we were given the opportunity to say goodbye, the loss is still trying for all of us. 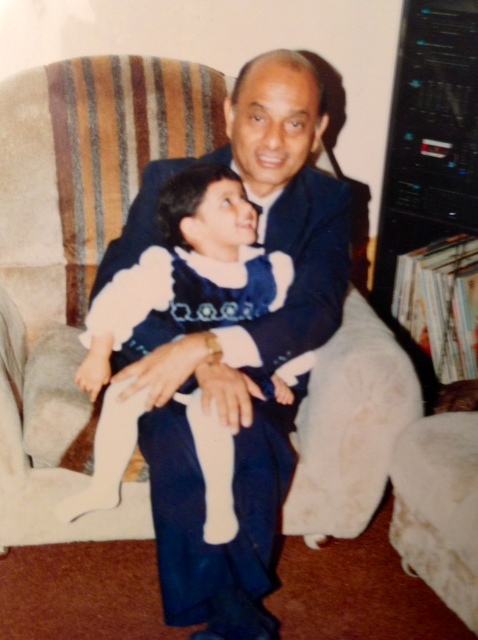 The month of February will be dedicated to remembering my grandfather, reminiscing about the wonderful presence he had in all our lives and of course learning how to pick up the pieces and move forward. To all of you out there, take time to be with your loved ones. Call them, write them, visit them because in the end it will never seem like enough time. Nini, i'm so sorry for your loss. I was wondering how things were going because you had been away for awhile, which is very unlike you. this post is a good reminder that time is precious and even though we all get super busy with life but time with family & friends is what matter. my heart goes out to you & your fam. if you need anything just give me a shout. sending you warm thoughts. I know exactly how this feels. It never really leaves you but it does get easier. Regards to you and your family. I'm so sorry to hear about your loss. I'm keeping you and your family in my thoughts. Sorry for your loss. May he rest in peace! I am so sincerely sorry for your loss. You and your family are in my thoughts. I am so very sorry for your loss my dear. It is never, ever easy to say good bye to our love ones! We also lost our grand mother just before Christmas, that was and still is a very difficult time. Take the time to cherish him, the memories and his legacy. Much love to you and your family. I'm so sorry to hear about your loss. Keeping you and your family in my thoughts. So sorry to hear of your loss, Nini! You are wise to take time to remember and to grieve. I am so sorry to hear about the loss of your grandfather. Wishing you strength while you go through this difficult time. Sending hugs your way. I'm so very sorry to hear this news, Nini. Thinking of you and your family as you cope with the loss of someone who meant so much to all of you. Hugs. I am so sorry to hear about your loss. Learning to grieve and hurt is very painful. I am thinking and praying for you! i'm so so sorry for your loss! =( xO! oh so sorry for your loss! Send you hugs and kisses! wow just found your blog today - so sorry for your loss, he seemed like a great man! I'm so sorry about your grandpa passing - he sounded like a wonderful man.